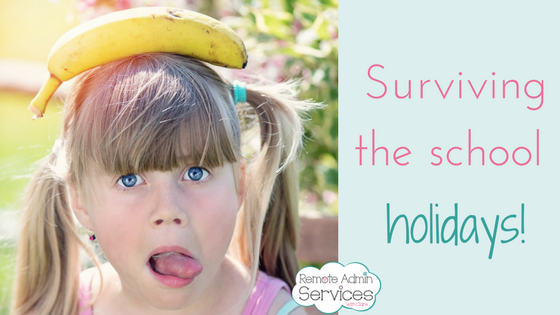 If you are a parent then you know the school holidays are coming around FAST, those that have children and run a business know that this can be one of the most stressful times of the year! We are aware that our families are probably one of the reasons why we started our businesses, but equally, we know that if we don’t work then we don’t get paid, which that is a concept that some children just don’t understand! They see mum or dad at home which to them equals family fun time! Last year was probably my most successful summer holidays with my children, I removed the pressure from my shoulders and reminded myself why I am doing my business and that my children are small for such a short period of time. I follow a lady called Claire Mitchell of The Girls Mean Business, and last year she published a book dedicated to surviving the school holiday. Not all of it was relevant to me, and necessarily be helpful to me in my business or with my children, so I had to adapt and learn as I went through the 6 weeks, and I can honestly say, that come September when my children went back to school, I didn’t feel as frazzled as previous years. What did I do so differently? I spoke with my children and set a rota, so for an example, Monday AM I was working, clearing any weekend enquiries, and schedule in my social media for the week. Then Monday PM I would take them out to a park or something fun, this would happen throughout the week. It gave them something to look forward to and I got to tick a few things off my list. My reply time changed from within an hour to the same day response. If I had a message come in just as I went out with the children it gave me some breathing space knowing I could still have fun and reply when I got back to the office. Soft Play! This was a great one for us, it gave my children that time to run off steam and have fun, and I could sit there with a coffee and laptop and work, that was a great compromise, and will be doing that again this year. Logging on when they went to bed, this one goes against most of my ethics really, I tend to have one late night a week, but I did allow myself to log on once or twice a week in the evening to clear things and get back to people should they have messaged me. But again, I was strict! These were just a few of the slight changes I made last year, it was all about compromising with the children, and myself, I also learnt how to manage my expectations on what I can and what I wanted to get done, luckily my children are at that age now where when they see me in my office ‘mummy is working’. I plan to do the same this year, we will sit down and work out a rota for time with the family and time for work, this will be put in place a week or so before they pack up from school, giving them time to get used to the rota. Work-life balance is hard to achieve but you can do it, you need to compromise with yourself and cut yourself some slack too. This is your dream, you have been building your business for some time don’t let school holiday break you. Remember, you can outsource too, there is no shame in having a VA on hand to help you out either regularly or through holidays, this option does give you that peace of mind and free up some time, it’s one less ball to have to juggle. 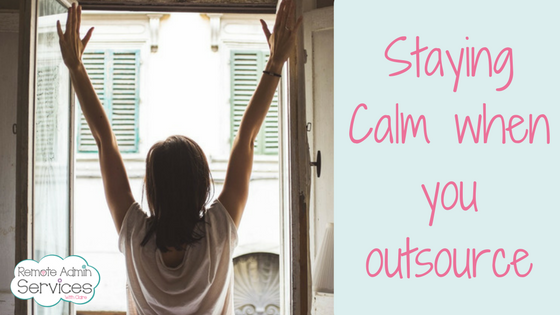 Recently we have spoken about outsourcing, what to expect and how to do it, but one of the biggies my clients have told me is staying calm, they know they are doing the right thing, but when the day comes to handing stuff over they get all jittery! This is so normal, don’t feel that you are over reacting because you are not, remember this is your dream, you have been working on this for months if not years, this concept has been in the making for such a long time and now you are having someone else come in and start poking around in your systems, your templates, your work and it can be daunting and really unsettling. Make sure they are done to your satisfaction, don’t feel your VA will be annoyed at the amendments, they will be more annoyed that they haven’t done it to your complete satisfaction. Communicate with your VA regularly, on a new contract for me it is normal to have a least one email a day for the first few weeks, then I find that they have become settled and more comfortable with my work so we tend to touch base once a week. Don’t feel pressured, if you are not happy or you are not ready to hand more work over, be firm! Enjoy! Don’t feel guilty that you have outsourced work, you need to do this to grow your business and free up your time, you are not lazy, you are being honest with yourself, you know that you need help! There is no shame in that! 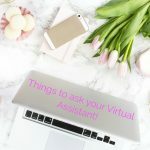 Previously I have spoken about the things you should expect when working with a virtual assistant. 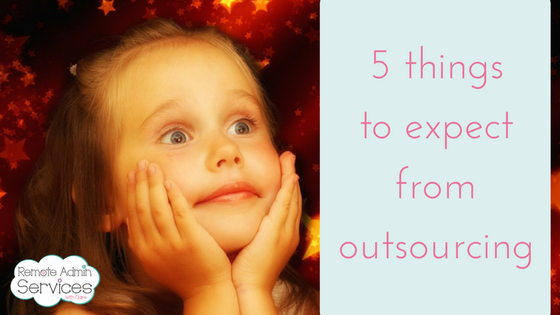 But what can you expect when you outsource? 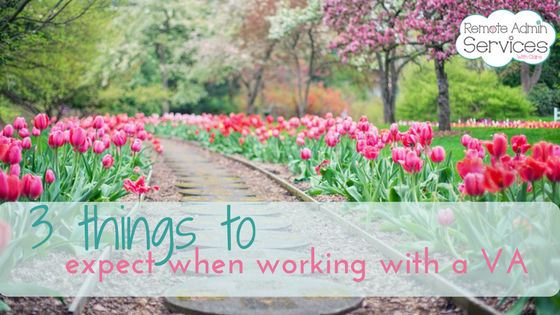 So you have spoken to a VA, you and told them what your pain points are, and the possible tasks you want to outsource. 5. Offload THOSE tasks! – we all have those tasks that take an age to do, or forever to get off your to do list, these could be the type of tasks that you can outsource to your new VA, it could be that type of task that would take them half an hour, where it would take you hours or days. 4. Reduced stress – Knowing that you could be working into the dead of night on the endless tasks you have, can be a real stress inducer, so knowing that you have that extra pair of hands at the ready will reduce the stress, knowing that those tasks that have taken you forever to get done are being done by your VA will reduce those stress levels. 3. Having an expert on hand – Now I am not saying your VA is the all seeing all singing superstar, but she/he will undoubtedly have a vast knowledge on may things that will help you move forward in business, and most VAs have a wide support network that they can call upon should the task or problem become troublesome. 2. More time in business – You will find that you will be gaining back more time to spend ‘IN’ your business not ‘ON’ your business, there is an enormous difference with this one. We all know that working ‘in’ your business you are working with clients, selling, making, planning whichever it is you do, basically making money, the ‘on’ the business is the amount of time you are having to spend doing the background work, emails, invoicing, marketing, advertising, social media, overdue payments, the list is endless, but these are the tasks your VA can do, which then turns your ‘on’ to ‘in’ time. 1. Happier you! – This one speaks for itself really, but yes after your initial settling in with your new VA, and things start to tick over and your business relationship grows, the less stress you will have and the happier you will be knowing that they are being taken care off, giving you that time you need to grow your dream.